Ygetarts performs surveys throughout the year. This page is a link to any data on earlier reports and information on any current survey. Distressed Market for Cold Calling. One of the most interesting data points was the 100% buyer side emotional rejection of receiving cold calls. The distress shows with nearly 7 out of 10 sales professionals believing that it is not effective, or inefficient. No Consumer Empathy for the Sales Person or Approach. If we had done this survey even a few years ago the buyer pushback wouldn’t have been 100%. There would have been phrases like, “They’re just doing their job” or “I’m older and alone so I have time to listen.” Neither of these showed up. Cognitive Dissonance – Remember there is a drive for all of us to have cognitive consistency. If the thinking of the sales person/professional is that cold calling works then it becomes too painful for them to hold the other idea “that it might not work in their head” at the same time. This is not true for the 69%. 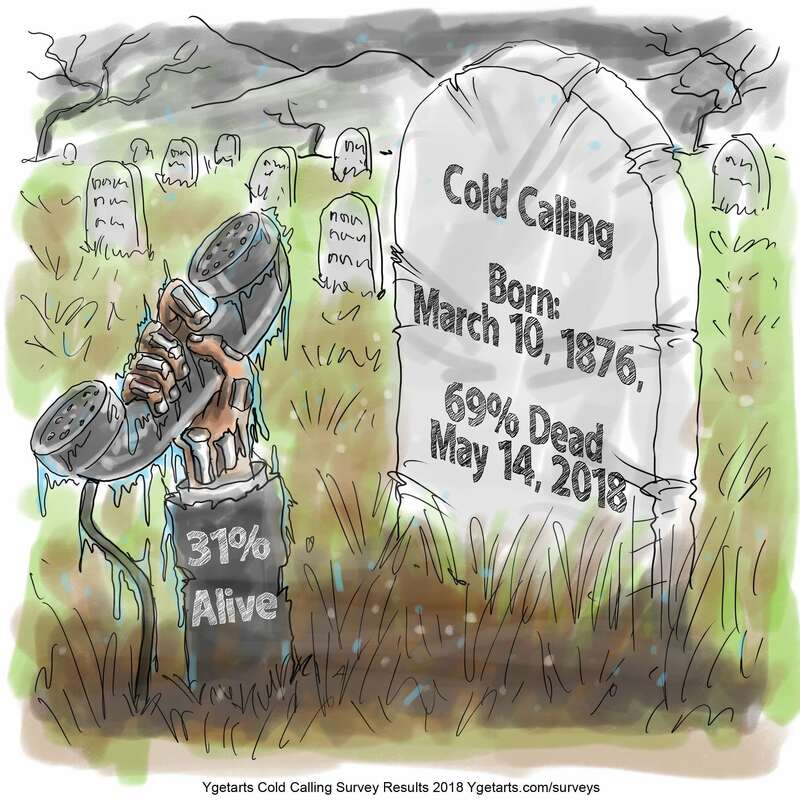 If cold calling worked they would use it versus the idea for the 31% of never making cold calls again. Sales People in this group may be good at selling themselves on the idea that it works. Confirmation Bias – this is the tendency to value evidence that aligns with the belief rather than evidence that contradicts it. We saw this with how people tried to pull in “cold calling gurus” into the debate online. Over Justification Effect – going overboard when explaining one’s behavior with too much emphasis on the benefit and not the personal behavior. Using the fact they sometimes make money with this tactic as a way to justify their behavior. Lack of Listening Skills – Simply not listening to the 100% of consumers and 69% of peers that say it isn’t a positive thing.